The stunning paintings are by Robert Engle for a gorgeous “bendy” action figure line that influenced space/alien figures and toy design for decades. 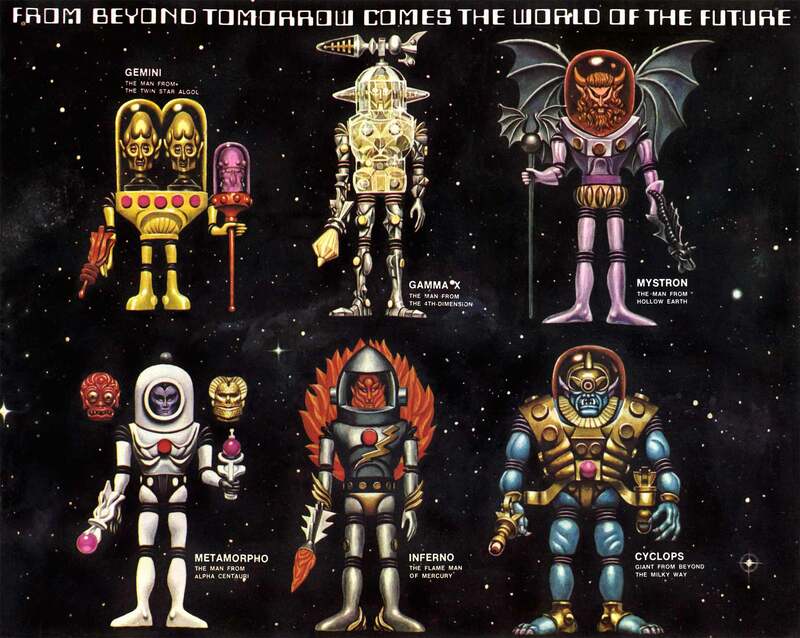 (Look how closely Orbitron resembles Membros from Mego’s Micronauts line, for instance.) 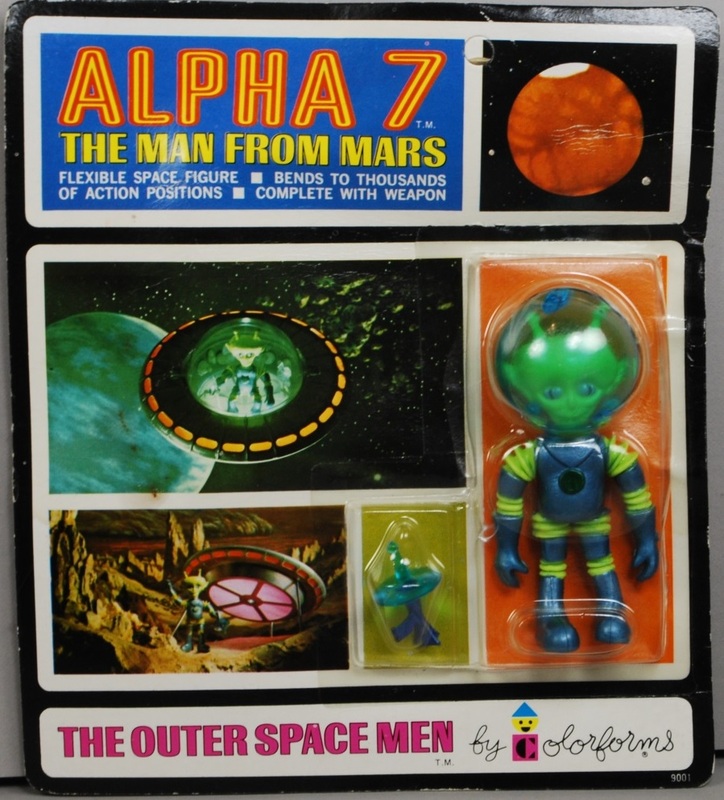 The Outer Space Men followed Mattel’s popular Matt Mason toys (the first great space line) and had an initial run of one series only, as the public lost interest in the space program quickly after Apollo 11. The top painting shows series one. The bottom painting shows the unproduced (at the time) series two. 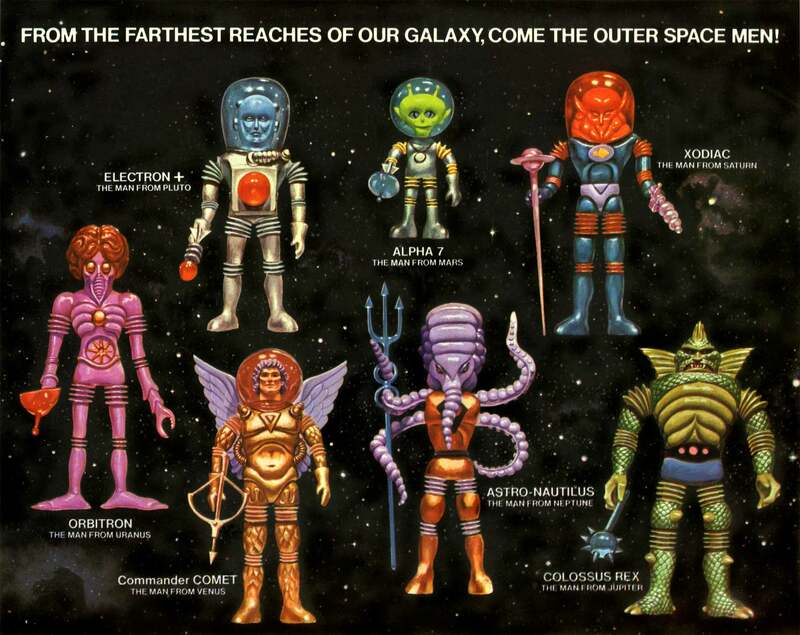 Following the success of Star Wars, Colorforms and Mel Birnkrant, who created The Outer Space Men, smartly released a Space Warriors Adventure Set and a series of jigsaw puzzles based on the characters in the 1968 line. 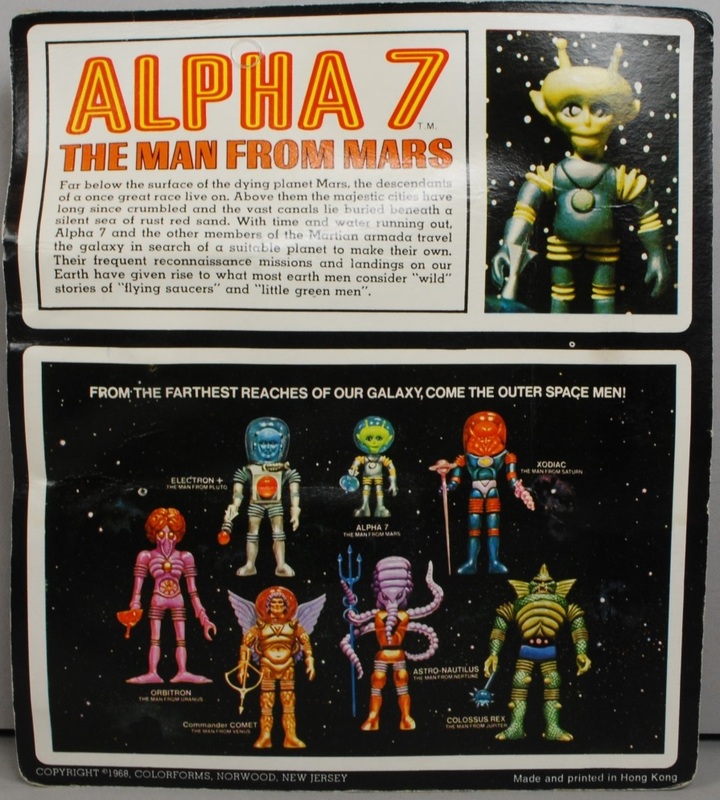 In 2010 Four Horsemen Studios re-released the original Outer Space Men along with some new figures based on Birnkrant’s designs.